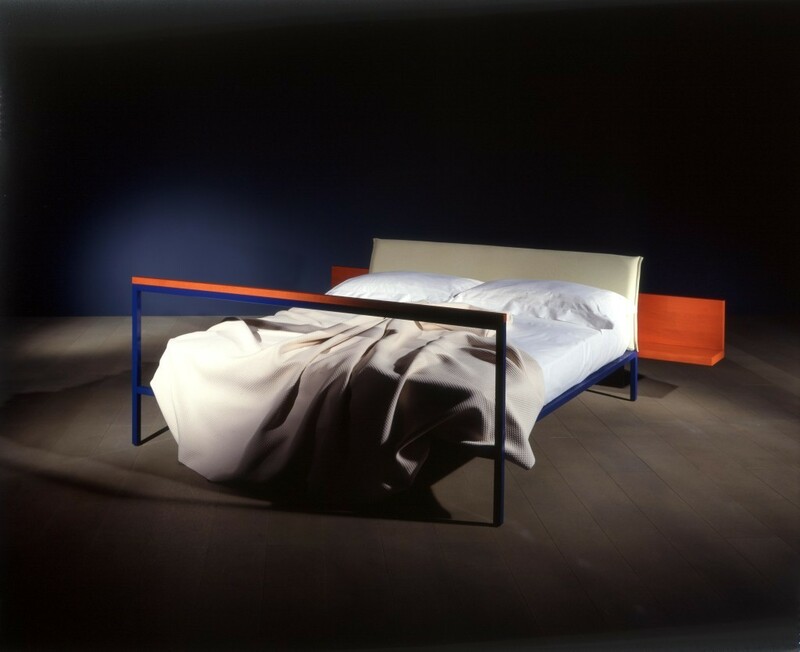 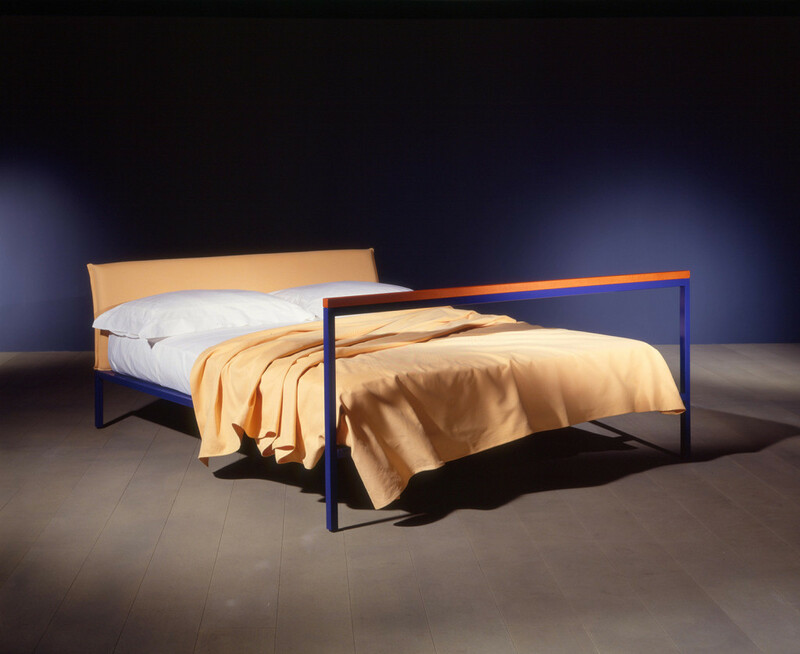 The bed Belvedere, linear and almost graphic, overturns tradition: the footboard higher than the headboard causes the observer an unexpected surprise. 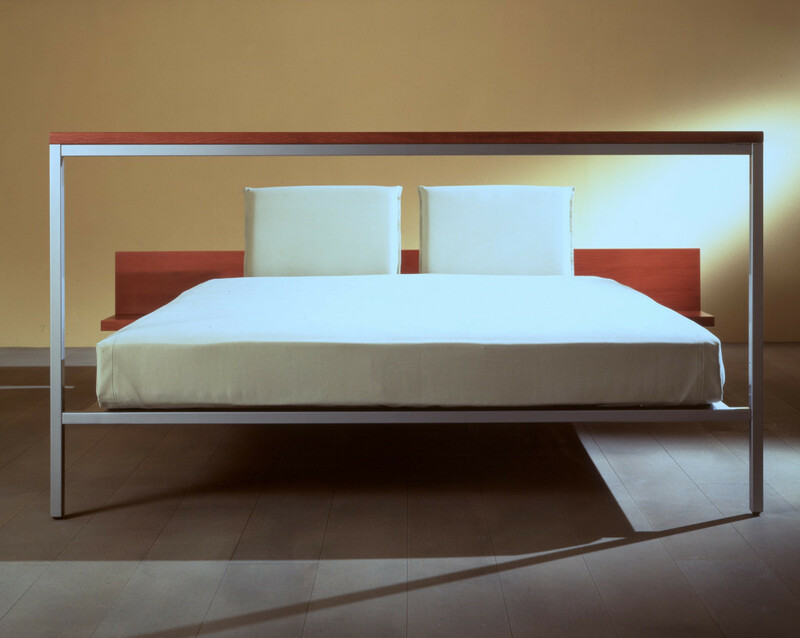 The footboard becomes an architectural element, a small ledge looking out of which one can observe an interior landscape. 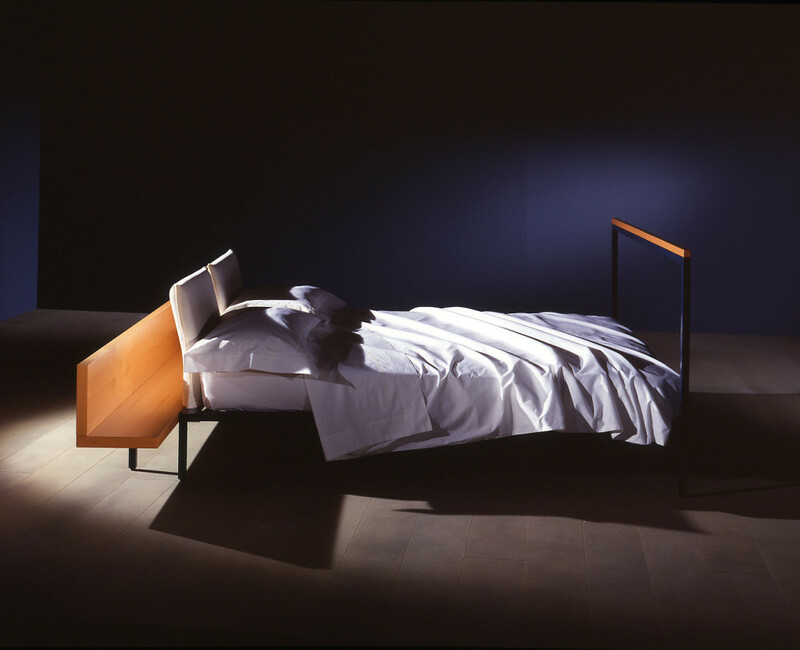 Various versions with or without shelf behind the headboard and with the footboard in two heights.